So you’ve taken a pregnancy test – or three. Perhaps you even came into our center for a free ultrasound to confirm. Now you’re faced with one of the hardest challenges of all: telling your parents you’re pregnant. No teen or young adult wants to go through this situation, but it still happens to thousands every year. You might feel paralyzed by feelings of guilt, embarrassment, or shame. However, the longer you put it off, the more difficult the situation can become. Here is some simple advice to help you tell your parents about your pregnancy. If there’s one thing you can be sure about, it’s that telling your parents you’re pregnant early on is always better. The longer you wait to tell your parents about your pregnancy, the more complications and difficulties can arise. Often, waiting to tell your family causes stress and anticipation – which is exactly what you don’t want in early pregnancy. Besides, in many cases, the reaction you imagine is much worse than the reaction you will actually get. It’s best to tell your parents soon and start working out your next steps. If you’re worried about how your parents will react, you can choose to confide in others first. 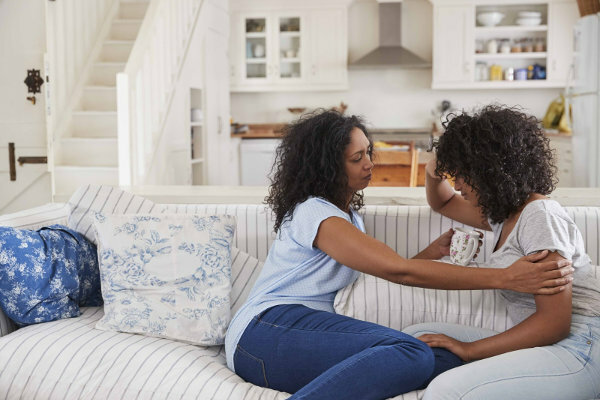 Telling a sibling, relative, or close friend can be a good way to “test the waters” and gauge how your parents may react. It can also help relieve some of the stress and anxiety of keeping a huge secret, making the telling itself easier to do. Obviously, very few parents are ready to hear that their child is pregnant unexpectedly. But you can soften the impact by making sure they hear the news in a comfortable setting. Don’t blurt it out in passing or while you’re in a public place, and don’t tell them in anger or out of fear. Think through before hand what you want to say and where and give them a heads up that you want to sit down and talk. It’s likely that your parents will be angry, disappointed, or confused by the news. This isn’t ideal for you, but it is expected. Remember, your parents are people too, and they have their own plans and goals. They might even say something that is mean or hurtful – and so might you. But it’s important not to let this conversation become an argument. You’re all in this together, and you need to support and respect each other to make it through. Your parents might start talking about getting an abortion or placing the baby for adoption when you tell them. However, it’s important not to make any decisions right away. Time is your friend. Make sure everyone is calm and composed before talking about your options and discussing what you actually want. Furthermore, remember that nobody – not even your parents – can make these decisions for you. If you aren’t comfortable with their choices or reasoning, don’t let them pressure you. In a time like this, you might be surprised by how well your parents take the news. On the other hand, not all parents will react the same way, and there is always a chance that your parents might react badly. If you find yourself in a bad situation after you tell your parents, remember that there are other places to get help and support. If you’re in Wichita, contact Embrace! We are here to provide a listening ear, support and resources as you make your pregnancy decision. Call (316) 945-9400 to make an appointment, or visit our Wichita clinic at your convenience.